One of the Tightest Mixtape series west of the Mississippi. 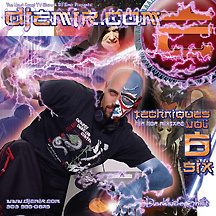 The Techniques Hip-Hop Mixtape series focuses on DJ Techniques to enhance the mixtape experience: Blends, Remixes, Scratches and even juggles are used throughout the Hip-Hop Mixtapes making each mixtape unique and worth listening to. Buy Five Get The Sixth Mixtape Free! Get Your Copies of These Hot Mixtape CDs Today! 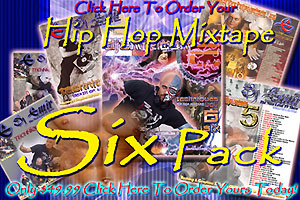 Only $49.99 for these 6 Hiphop Mixtape CDs. Over 30 tracks of hot Hip Hop Music per CD. Purchase in multi pack for extra savings. Get Your Copy of This Hot Mixtape CD Today! Only $9.99 Free Shipping Included. Get over 30 tracks of hot Hip Hop Music per CD.